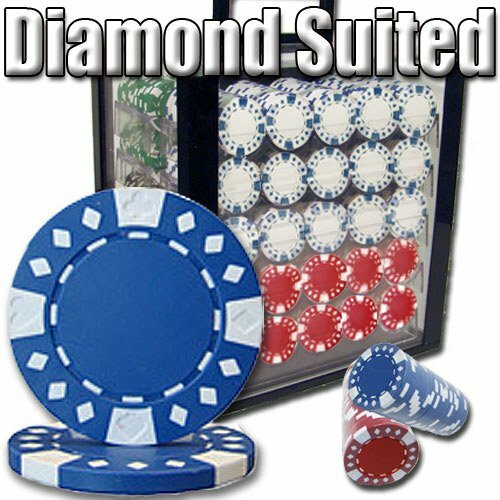 Make your poker nights more exciting with The Diamond Suited Poker Chip Set!Go all in when you play Blackjack, Texas Hold'em or any other casino game. All of the chips are made from a clay composite and weigh 12.5 grams for a premium and authentic casino feel. You don't want to be playing with cheap chips that make you look like a chump! The chips' textured inlays make stacking them a breeze, even when you've got a mountain to manage.This set of 1,000 chips comes packed in a hardy clear acrylic carry case that's ideal for both display and gameplay. Each case includes 10 acrylic trays that hold 5 rows of 20 chips, keeping your investment organized and protected. The non-denominated chips are great for switching between cash games and tournaments. 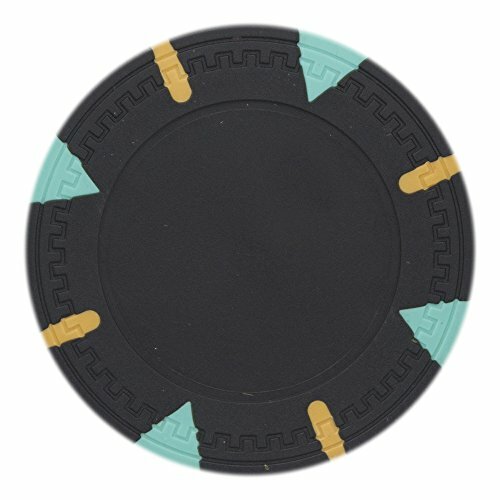 These 8.5-gram clay composite poker chips are great for cash and tournament games alike. For casual players and high rollers. Non-denominated and perfect for switching between cash games and tournaments. Available in 11 bold and bright colors and marked with classic concentric circles, a stippled texture and molded diamonds. The clay's grippy texture makes stacking these chips a breeze. These heavyweight clay composite poker chips are great for cash and tournament games alike, for casual players and high rollers. Available in 10 classic colors, these non-denominated chips are perfect for switching between cash games and tournaments and feature lots of tiny details including twelve stripes and the Greek Key mold meandering across the edge of the chip. Weighing in at a beefy 13.5 grams, these chips feel great, boast a real casino feel, and the grippy clay composite stacks effortlessly and shuffles smoothly. These heavyweight clay composite poker chips are great for cash and tournament games alike, for casual players and high rollers. Available in 11 classic colors, these chips feature 8 white stripes and a generous inlay space in the center of the chip which allows for a full range of customization choices-or just play plain! 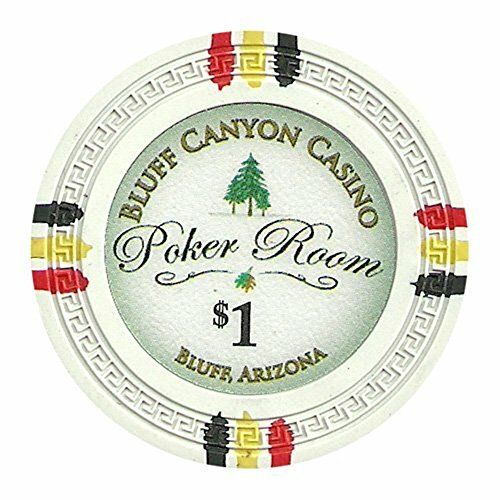 Weighing in at a beefy 14 grams, these chips feel great, boast a real casino feel, and the grippy clay composite stacks effortlessly and shuffles smoothly.In addition, these blank chips have a recessed center perfect for a 1.25" inlay sticker. 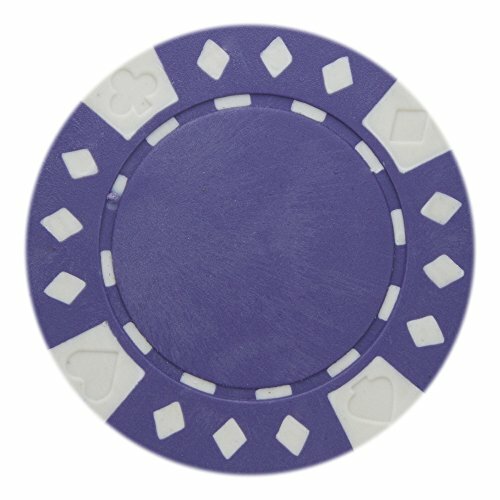 Create your own custom poker chips! These heavyweight clay composite poker chips are great for cash and tournament games alike, for casual players and high rollers. Available in 9 high-contrast color combos, these non-denominated chips are perfect for switching between cash games and tournaments and feature lots of tiny details including suited stripes and 4 molds of Aces and Kings per chip face. Weighing in at a hefty 14 grams, these chips boast a real casino feel, and the grippy clay composite stacks effortlessly. 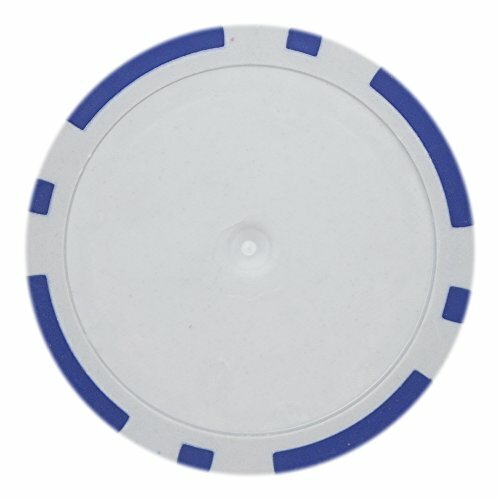 These heavyweight clay composite poker chips are great for cash and tournament games alike, for casual players and high rollers. Available in 9 classic colors, these non-denominated chips are perfect for switching between cash games and tournaments and feature lots of tiny details including colorful sticks and triangles with a "gear wheel" mold pattern around the outside of the chip. Weighing in at a beefy 13.5 grams, these chips feel great, boast a real casino feel, and the grippy clay composite stacks effortlessly and shuffles smoothly.In addition, these blank chips have a recessed center perfect for a 1" inlay sticker. 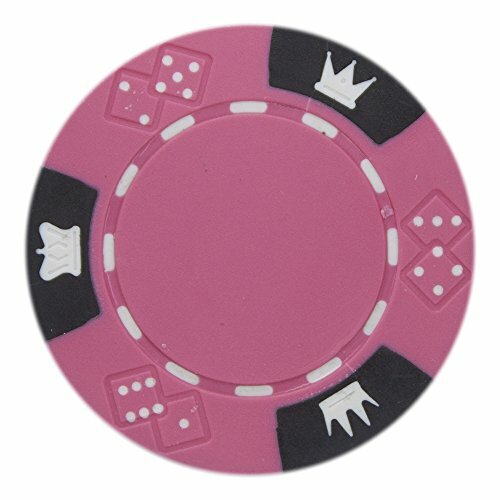 Create your own custom poker chips! 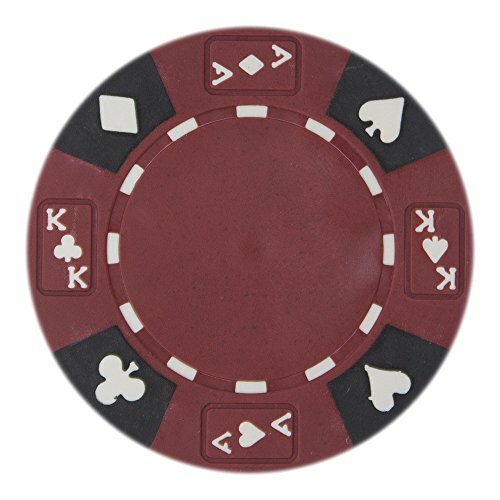 These versatile clay composite poker chips are great for cash and tournament games alike, for casual players and high rollers. Available in 9 color combos, these non-denominated chips are perfect for switching between cash games and tournaments and feature lots of tiny details including suited stripes and 12 white diamonds per chip face. Weighing in at a manageable 11.5 grams that is great for shuffling, these chips boast a real casino feel, and the grippy clay composite stacks effortlessly. These heavyweight clay composite poker chips are great for cash and tournament games alike, for casual players and high rollers. Available in 9 tri-color, high-contrast combos, these non-denominated chips are perfect for switching between cash games and tournaments and feature lots of tiny details including stripes with inset crowns, and 3 molds of dice rolling lucky 7s. Weighing in at a hefty 14 grams, these chips boast a real casino feel, and the grippy clay composite stacks effortlessly. 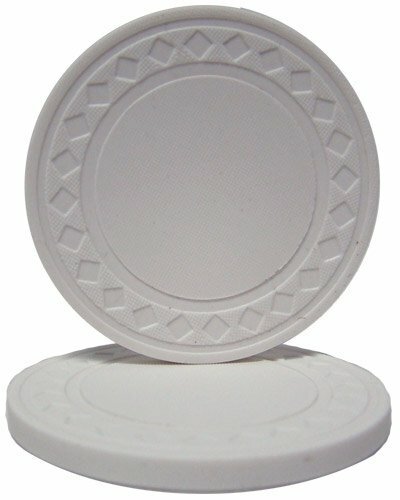 Want more Denominated Clay Composite Poker Chips similar ideas? Try to explore these searches: Edelbrock Carb Kits, Beaded Bra Straps Halter, and Jade Velvet.